Bri Chang, Director of Community & Organizational Development – Bri develops Freedom Project’s capacity to carry out its commitment to community safety. Bri directs the racial equity initiative at Freedom Project, and is involved with grant writing, curriculum development, and MSW intern supervision. Bri holds a Masters in Social Work from the University of Washington. Emanuel “Mano” da Silva, Partnerships & Development Director – Mano works to advocate and bring new partners to help Freedom Project grow. 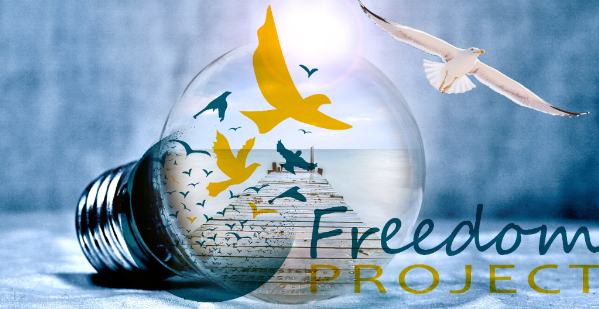 He fosters Freedom Project’s growth within the community and financially. Mano was born a refugee, grew up in St. Louis, and has lived in Seattle since 2008. He spends most of his free time volunteering for grassroots organizations. Mano holds a Masters in Social Work from the University of Washington. Joanie Fuller, Prison Programs Director – Joanie coordinates Freedom Project’s prison programs through the Department of Corrections and in collaboration with our dedicated team of volunteers and mentors. She aims to support the variety of needs of the community members integral to Freedom Project’s work – including class participants, inside mentors/facilitators, folks returning to the community from incarceration, and those who volunteer their time on the inside/outside. Joanie graduated with a Masters in Social Work from the University of Washington. KC Young, OP, Executive Director – KC has been privileged to work with marginalized people for nearly 30 years on Indian reservations as well as in hospitals, prisons and inner-city neighborhoods. A skilled networker, she has extensive experience providing leadership for many nonprofit organizations, ranging from drug addiction treatment centers to transitional housing for homeless women and children, and has lobbied for justice and peace on the local, national and international levels.